functional activity of my brain, naively attributed to my not having the chemistry text book (…)"
Carlos Ribeiro, son of José Joaquim Ribeiro and Francisca dos Santos Ribeiro, was born in the Lisbon parish of Lapa, where he was baptised on 21 December 1813. His humble origins and the work he did from an early age did not conflict with his intellectual curiosity. In the store where he worked, he met Filipe Folque (1800-1874), at the time a student of the Royal Academy of Fortifications, who lent him books and gave him private tutoring. With the consent of his boss and the support of Francisco José de Freitas Rego, he studied and was able to take a degree. In the context of liberal wars, Carlos Ribeiro joined the military (1833), but with the end of the conflict, in 1834, he resumed his studies. First, he attended the Royal Navy Academy, where he received two awards, and then enrolled in the Royal Academy of Fortifications, Artillery and Drawing, completing his education in the Army School, the successor of the Royal Academy. He completed the courses of Artillery and Engineering with distinction, and rose to the rank of Officer on 28 July 1837. Two years later, he was stationed in Elvas, where he lived about a year and a half. During this period of his life, he established relationships with the family of Nery Salgado. In 1840, First-Lieutenant Ribeiro transferred from the 2nd to the 3rd Regiment based in Porto and began studying Geology, a new research area in Portugal. In Porto, he enrolled in the Porto Polytechnic Academy, where he received four money prizes and one distinction, and met teacher José Vitorino Damásio. In 1844, after completing his studies at the Academy, he made some practical studies in Geology in the outskirts of Porto, and started his first collections. Two years later, he married Úrsula Damásio, sister of José Vitorino Damásio, and they had three children: José Vitorino, Zélia and Sofia. Shortly after, he left the military and started working at the Public Works Company of Portugal. In the winter of 1845, he was responsible for directing the construction of the road Lisbon-Caldas da Rainha, and then led the works of the road Carvalhos-Ponte do Vouga. However, these works were suspended following the uprising of Maria da Fonte, which Ribeiro joined. He was sentenced to prison and removed from military service. 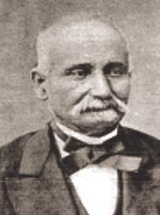 When the political turmoil was over, and for a short period of time, Carlos Ribeiro taught at the Army Arsenal until 1849, the year he joined the staff of Companhia Farrobo e Damásio. As an employee of this company, he paid for his own travels across the country, during which he collected spoils in petrography and palaeontology areas, which would later be part of the collection of the Geological Commission of the Kingdom. At this stage of his life, he met doctor A. A. da Costa Simões, a teacher at the Faculty of Medicine of the University of Coimbra. In 1850, he met the English geologist Daniel Sharpe (1806-1856), who had visited the country and published works on Portuguese geology. He was responsible for the scientific review of these works, which earned him his first international recognition in this field of research. In 1852, Carlos Ribeiro was invited to head the 4th Department of the Technical Office of the Directorate General of Public Works, being responsible for the quarries, mines and geological works. Along with F. A. Pereira da Costa (1809-1888), a teacher of Mineralogy, Geology and Principles of Metallurgy, at the Polytechnic School of Lisbon, he prepared the first law applicable to mines in Portugal. Between 1852 and 1857, he outlined the geological map of the region lying between the Douro and Tejo rivers, based on the English military map by James Wyld, and prepared the geological map of Alentejo based on the map by Bonnet, two works that form the basis of general geological maps. Likewise, he used the maps by Verneuil and Coulomb to outline the geological map of the Iberian Peninsula. In 1857, he was appointed director of the Geological Commission, a position he shared with Pereira da Costa. This commission, which aimed to create a geological map of Portugal, was dissolved in 1868 and converted the following year into a department of the Directorate of Geodesical Works. Here, Carlos Ribeiro served as director of the 5th department of Geodesy, Topography, Hydrography and Geology Works of the Kingdom until the end of his life, and was succeeded by Nery Delgado (1835-1908). In the meantime, in 1858 he travelled across Europe, where he met a series of experts with whom he exchanged letters. In 1859, he was appointed head of the Mines, Geology and Steam Engine Office. In 1863, he undertook research in the field of Pre-History. He was responsible for finding the famous concheiros de Muge from the Mesolithic (classified in 2011 as National Monument), while studying the tertiary lands of the Tagus valley. Years later, the international interest in the Tertiary period and the evolution of Man, along with the enthusiasm shown by Ribeiro paved the way for the 9th International Congress of Pre-Historical Anthropology and Archaeology held in Lisbon. In the years that followed, he was appointed to the commission responsible for the proposed classification and grading of technical staff of MOPCI (Ministry of Public Works, Trade and Industry), and to propose the reorganization of industrial education (1864). In 1868, he published a pioneering study on the general forestation of the country, and the geological map of Mainland Portugal was sent to the International Exhibition of Paris of 1878, where it won a silver medal. This map was later revised and updated by Nery Delgado and by the Swiss geologist, Paul Choffat (1849-1919), a scientist that Ribeiro had met at that exhibition. Ribeiro still had time for a stint in politics. He was a parliament member in the legislative periods of 1870-1874, 1880-1881, and co-presented, in 1872, a report on Property Tax. He was part of several national and international scientific societies and received prestigious decorations. Carlos Ribeiro is considered one of the fathers of Portuguese Geology, a Pioneer in recognising the stratigraphic succession of land in Mainland Portugal and the first to use field work as the most important aspect of the study of Geology. He died in Lisbon on 13 November 1882, at his house in Rua do Arco das Amoreiras, victim of liver and heart complications. In 1887, the Society Carlos Ribeiro was set up, aided by the cultural journal "Revista de Sciencias Naturaes e Sociaes" (published from 1889).